Friday/ what happened to Jamal Khashoggi? 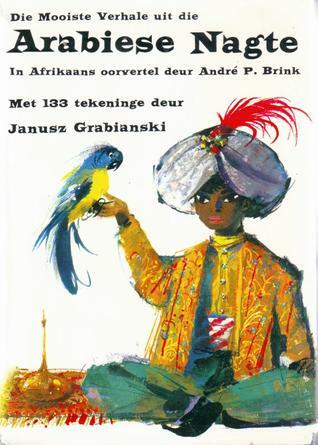 ‘The Greatest Stories from the Arabian Nights’: a childhood book that I have vivid memories of. Saudi society is difficult for outsiders to comprehend to this day. Saudi Arabia invaded Yemen in 2015 (with a coalition of other Arab states). The war has brought terrible suffering to Yemeni civilians (mass starvation), and is on-going. Osama bin Laden was a member of a wealthy Saudi family until 1994. And 15 of the 19 attackers on 9/11 in 2001, were Saudi Arabian nationals. 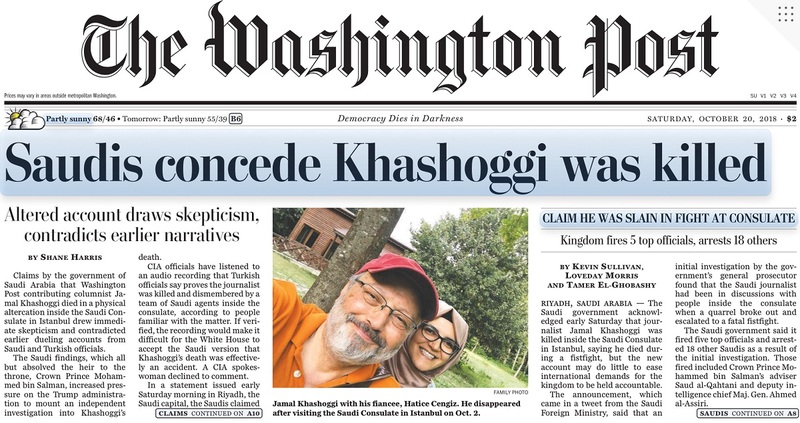 Washington Post journalist Jamal Khashoggi (59) entered the Saudi Consulate in Istanbul on Oct 2, to obtain documents necessary to marry his Turkish fiancée, Hatice Cengiz. He was not seen again after that. Turkish authorities believed he was killed in the Consulate that same day. (He had often been critical of the Saudi government). Was the killing ordered by someone in the Saudi government? Will there be a ‘thorough, transparent, and timely investigation’ as promised by Saudi officials to US Secretary of State Mike Pompeo? Will there be ‘severe consequences’, as promised by President Trump? The front page of the Washington Post on Saturday. Says CNN Co-anchor Jim Sciutto on Twitter: ‘Having met Khashoggi, the idea of the 59-year-old bespectacled intellectual engaging in a physical fight with several intelligence agents is beyond the imagination’.